Regardless of the population your clinic serves, happy patients are the lifeblood of a successful practice. Without satisfied patients, you can expect mediocre growth, regular cancellations, and a feeling of just staying afloat. 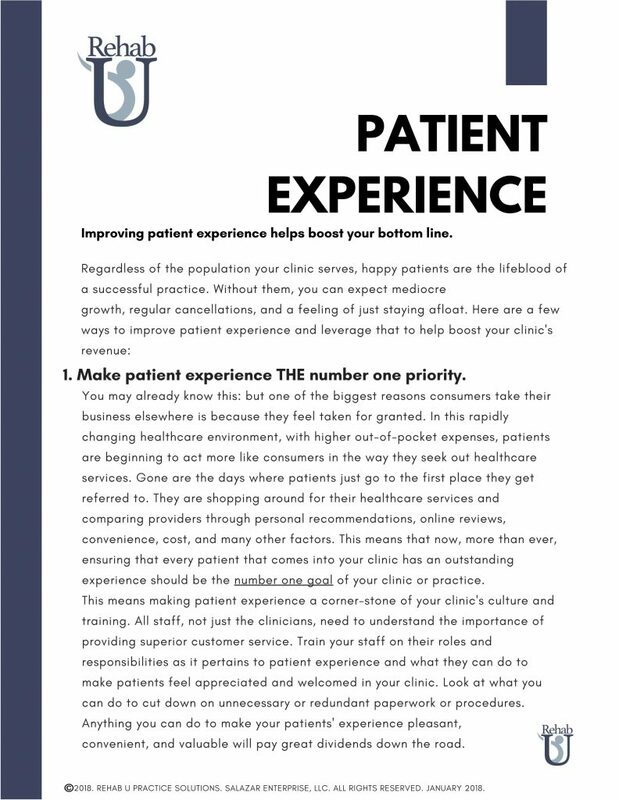 Here are a few ways to improve patient experience and leverage that to help boost your clinic’s revenue.